This is another chapter in the series of posts on Unsung Heroes – those people who have profoundly influenced my life in various ways but have been (wrongly) overlooked, forgotten or ignored by most people. 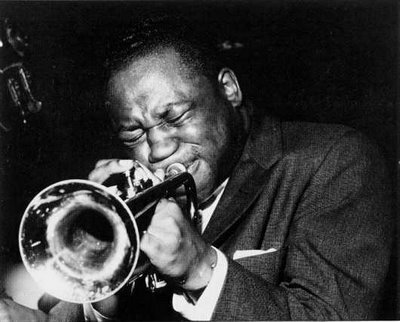 In this post, I pay homage to another musician: the late, great Clifford Brown. Academics aren’t prone to make grandiose, sweeping statements: for the most part, we think very carefully about any claim we stake in the ground. The same can’t be said of the advertising profession who often bombard us with outrageous (and often specious) claims such as “Quite possibly, the most nutritious breakfast cereal ever”. They can get away with such claims because of the ancient law of ‘puffery’, which provides a vague line in the sand between an exaggeration of the truth and a blatant misrepresentation of the truth (the former is allowed, while the latter is illegal). Anyway, going against the protocols of my profession,I want to stake a claim in the ground that might upset a lot of people, particularly those who know a thing or two about jazz trumpeters. I certainly don’t want to turn into an advertising executive, so I am going to try to back up my claim with a comprehensive dossier of factoids and (quite subjective) supporting evidence. Hopefully that will be enough to convince both the uninitiated musical novice and the seasoned jazz veteran! Here goes nothing. My claim is that ‘the greatest jazz trumpet player of them all is Clifford Brown’: his technique was (almost) flawless, his range was astonishing, his tone gorgeous, and his lyricism and inventiveness seemingly boundless. He could play ballads, breakneck hardbop, in the upper register, and down low. Put that all together and you have one hell of a fine trumpet player. In fact, I think the best that ever pursed their lips and tried to play that unwieldy beast of an instrument. Now I need to qualify this – I am only talking about jazz trumpet here. If I was talking more broadly about trumpet-playing, I would need to step back and consider luminaries like Maurice Andre – the high priest of classical (and baroque) trumpet – who had truly astonishing facility on the horn. But he is out of the scope of my claim. You might counter – “what about Satchmo, Miles and Dizzy?” And you’d be right that each of them would also have a claim the be the greatest – Satchmo never hit a bum note in his life, Miles made an art form out of knowing when not to play, and Dizzy literally blew the house down every time he played. But none of them, in my humble opinion, was quite the complete player that Brownie was. Satchmo didn’t have the improvisational skills, Miles didn’t have the technique (or range), and Dizzy didn’t have the rich, lush tone. Clifford influenced me like no other jazz cat: I was so obsessed by his playing that I collected every piece of recorded material I could get my hands on (even lo-fi recordings of his practice sessions, rehearsals and live gigs) and I would imitate his transcribed solos ad nauseam (at least those ones that I could attempt to play; since many of them were just out of the bounds of possibility for a mere mortal). The main reason most people don’t know of him is that his recording career spanned a very short period – from 1952 to his untimely death in a car accident on the Pennsylvania Turnpike in 1956– so there isn’t a huge oeuvre to collect, but it’s still pretty impressive and influential. In fact, he recorded with an astonishing array of musicians including vocalists Sarah Vaughan, Dinah Washington and Helen Merrill; and other phenomenal instrumentalists like Sonny Rollins, J.J. Johnson, Horace Silver and Art Blakey. He was also a fine composer in his own right, writing tunes like Joy Spring and Daahoud. As a teetotaller, Clifford didn’t really fit the stereotypical jazzman of the 1950s: most of his contemporaries and immediate predecessors in the bebop and hardbop scene – like Charlie Parker, Miles Davis, Art Blakey, Sonny Rollins, John Coltrane, etc. – were often strung-out on drugs around the time that Clifford was plying his trade. But Clifford managed to avoid all of those trappings, and also managed to work with other clean-living cats like Harold Land (tenor saxophone) and Max Roach (drums) with whom he forged a strong partnership. His influence amongst the trumpet-playing community is widespread: Freddie Hubbard and Lee Morgan both cite him as a huge influence, and Miles Davis was apparently quite intimidated by his playing. On top of this, he was loved by virtually everyone. The great Quincy Jones (who, amongst many other amazing achievements, ended up producing albums like Thriller for Michael Jackson after his trumpet-playing days were cut short by a brain aneurysm) said of Clifford in a Downbeat memorial article in 1956: “To me, the name of Clifford Brown will always remain synonymous with the very essence of musical and moral maturity….Here was the perfect amalgamation of natural creative ability, and the proper amount of technical training, enabling him to contribute precious moments of musical and emotional expression”. And his close friend and brilliant tenor sax player, Benny Golson, composed the most hauntingly beautiful ode to Clifford (called I Remember Clifford) after his death. Golson said in another Downbeat article on Clifford in 1961: “I wanted to write something that would sound similar to or synonymous with him and also to serve a reminder to all of us who knew him and those who would come to know of him, of his greatness”. It is still considered a classic tune – and one that any jazz trumpeter will know inside out. In fact, it has been covered by many of the pantheon of trumpet gods since it was written (e.g. here by Lee Morgan). So, there you have it: another musical genius whose talent burned brightly but dimmed too soon. But, unlike many of his contemporaries, Clifford died as a result of a tragic accident that wasn’t self-inflicted.